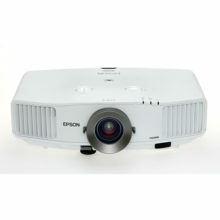 The EH-TW8200 with Lamp Boost Technology excels in delivering high Colour Brightness for a superior viewing experience. With white and colour brightness at 2,400 lumens, you enjoy bright colours and clear images on large screens, even with substantial ambient lighting. 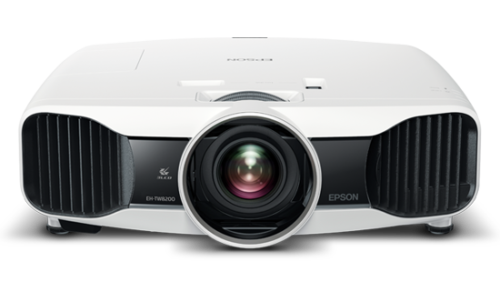 The EH-TW8200 also has a high frame refresh rate of 480Hz that is twice as fast as other 3D projectors. This minimises the “blackout time” when 3D images are transitioning from frame to frame, giving you the smoothest 3D movie experience in the comfort of your home. 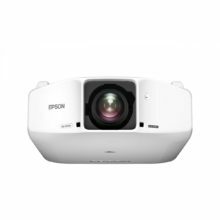 Epson’s proprietary C2Fine™ (Crystal Clear Fine) Technology and inorganic LCD panels with Vertical Alignment (VA) technology allows for deeper blacks and translucent whites in 3D and Full HD images. The optical phase control technology minimises polarised light leakage and increases contrast ratio to deliver dramatically enhanced image definition and quality for a thrilling home cinema experience. 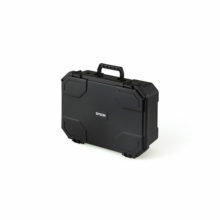 The EH-TW8200 features a unique 2D to 3D conversion function with three levels of image depth. Simply select the screen size and adjust it to your preference, then sit back and be immersed in an engaging movie experience. 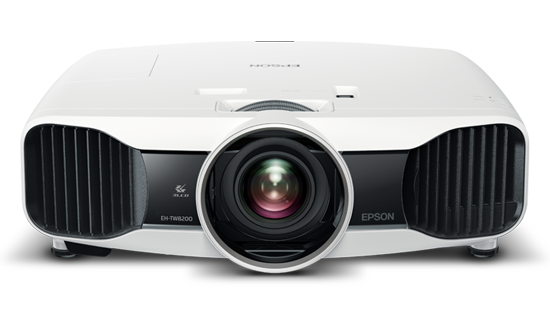 Now, you can enjoy clearer, sharper playback with Epson’s Frame Interpolation Technology. This feature effectively suppresses blurring by inserting new frames between original ones to create smoother motion transition. The wide lens shift range of the EH-TW8200 provides exceptional installation flexibility. A short focal length as little as 298cm is possible with a 100-inch screen. 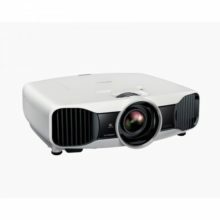 A broad shift range of 96% vertically and 47% horizontally with the optical lens shift function also keeps image deterioration low, allowing you to position your projector at any point in the room. 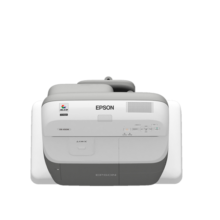 The Epson’s Cinema Filter extracts very pure hues of the three primary colours from the lamp light to produce a wide colour gamut, enabling unbeatable colour reproduction and quality while maintaining the high contrast ratios that are difficult to achieve with electronic colour-correction. The perfect accompaniment for your home viewing experience, Radio Frequency 3D glasses allow greater seating flexibility of up to 10 metres radius from the projector. Maintenance is minimal as they can be used up to 40 hours with 50 minutes of charging. The Super-Resolution technology improves the resolution of images that become blurry in the enlargement process. DVDs too can be enjoyed with high, Full HD-like image quality. The low resolution parts (blurred sections) from Full HD images become smooth and sharp. The versatility of the split-screen feature enables dual display of your selected TV show, movies or games concurrently. Now, you will never miss an important scene again. The HDMI link allows you to control the projector, AV amplifier and player at the same time with just a single remote control. The remote control also features a backlight for controlling the devices even in a dark room. The EH-TW8200 is designed with the air intake and exhaust at the front so that you can easily install it even in narrow spaces. Place it on a bookshelf or close to walls without worrying about maintaining clearance for ventilation.